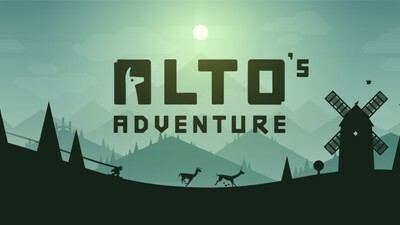 Here's a quick walkthrough, FAQ, and tips for the arcade and action endless snowboarding runner game ALTO's Adventure, presented by Noodlecake Studios Inc.. Available on the App Store and Google Play for iOS and Android gamers. If you are having trouble completing the "Land a Proximity Backflip", "Proximity Wingsuit Fly for 50m in a Row", or other notable goals, this guide will show you how. - Use Alto until you unlock Maya, then Maya all they way until Lvl 51 where you can unlock Tupa. Feel free to use other players to complete Goals associated with them. - These few upgrades should be able to help you complete goals related to them. - You can safely do back flips while hovering, go on and do your tricks. - Wing Suit: Purchase to unlock, needed to complete goals. - Charge your scarf by doing multiple tricks while on air. Once it's icon pops up on the left side corner of you screen, jump and activate. - Controls: Tap and hold to go higher, release to go down. You can also deactivate your Wing Suit by tapping on it's icon again, reactivate if you think you might crash. - Note: You can keep a Wing Suit charged as long that you do endless tricks as you go. - You may choose any upgrades you like from here on. - You can also upgrade this anytime or if needed for completing Llama related goals, but still recommended to max end game to get more score points from Llamas. - Llama Horn: Purchase to unlock. - Llama Horn Strength: Upgrade to summon more Llamas. - Simply to give you a clear view on things while surfing at night. It looks beautiful too! How to Get Free Coins! - Go to the Workshop, and tap on the +Coins section located on the lower right area of you screen. - A pop up window will appear offering you to watch a video to earn 500 Coins. You need to be online though to view more video ads and get free Coins. - After viewing the ad, tap on the (X) or [NO] button to collect your Coins. - If there are no video ads available, wait for a couple of hours then try again. - While sliding through woods or villages especially when dark, do some random jumps or flips to help you avoid those sneaky rocks. - It's better to go up and grind on those bunting lines or rooftops if available. - Means you need to pick up your speed to ensure that you can jump through the upcoming large chasms for example. Alternatively, it is also good to keep your Wing Suit charged to save you in case you can't make the jump. - Do tricks or anything that will increase your score points while on air. - Example: Do successful flips, grind on bunting lines or rooftops then land. Upon landing, you'll get a burst of speed and a force field giving you an opportunity to smash rocks or campfires before the duration ends. - Slid on ice to get speed boosts too. - Same example above, do tricks or anything that will increase your trick points/multiplier/combo while on air, to increase your speed upon landing. - Slid on ice to get speed boosts, and grind on bunting lines or rooftops to keep your distance from him. - You can only successfully escape by jumping over chasms. - Note though that the more Elders you encounter, the more faster they will become. - Things that you can perform to generate Trick Points. More tricks means more speed, and the longer your scarf will grow. - You can see these piling up on your screen (upper right corner), the more, the better. - Check the "List of Tricks" section below for more info. What is a Combo Multiplier? - Refers to the number of Tricks you can perform before landing on the ground. - You can check this right below the list of tricks or underline on your screen (upper right corner). - The total points of your [Tricks], multiplied by the [Combo Multiplier] upon landing. What are Trick Points or Scores? - The total points of all Combos you made in one run, you can check this just below the number of meters you traveled so far. What is a Total Score? - Your final total score displayed every after a run. How to Get High Combos? The idea here is to chain lots of Tricks in mid air, while keeping your snowboard off the ground for as long as you can. So do a lot of backflips, grind on those bunting lines and rooftops, or bounce on a rock or camp fire to avoid the ground. 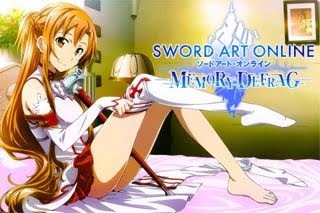 Recommended Player: Maya, or similar player at higher levels. - Yes, you can do backflips while grinding by doing jumps once you reach each "towers" of the bunting lines. This is only recommended though if you still DO NOT have a Wing Suit icon, or if you just want to keep your Wing Suit charged. 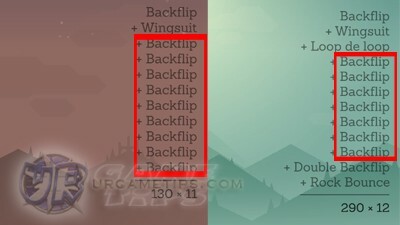 - Grinding with Flips is best used to quickly activate your Wing Suit (based on number of Tricks or Combo Multiplier). Not recommended for getting Combo Points though, because the total points isn't great compared to full grinding, and since you are still getting your Wing Suit ready at this point. - While grinding, minimize backflips unless you are near the end of the line. Full grinding is better than grinding with flips when it comes to total points, but only if you already have a Wing Suit icon ready to use. - This is a very useful Powerup to charge up more tricks while on air. Best done after chaining some nice number of tricks first, the more, the better. - To do this, reach a very high area and activate Wing Suit. While on air, quickly deactivate your Wing Suit > do a backflip, once you see the spark, quickly re-activate your Wing Suit and glide a little forward > deactivate Wing Suit and repeat steps until you run out. - The Wing Suit can also be used to extend your trick counts. How? Use it to reach the next bunting lines or rooftops by gliding into them. If you think your jump is going to land on the ground, use this instead and glide forward (do not hold too long, just do some smooth tap+hold). - Best done after grinding on a long bunting line or rooftop. - Surf during this time of the day to get this bonus. - Find and use ramps to jump higher. - Jump or do a backflip then land on those bunting lines or rooftops to grind. - Stay long enough above those bunting lines or rooftops until you receive this bonus. - Slide over ice patches. - Successfully jump over a chasm. - Best done by Maya or similar players at higher levels. - Build up your speed by doing tricks and combos to help you jump even higher and longer into those wide areas. - Jump or do a backflip then land on a rock or camp fire (commonly near Elder Camps). - Do any trick/s, land, then use the bonus speed boost to smash nearby rocks or camp fires. - Just run long enough to encounter them. - Wake an Elder then jump through a chasm to escape from him. Different players have different play style or speed, but keep doing tricks to maintain a nice speed. - Refer to the "How to Escape from the Elders" above for more info. - You need to come off a jump or backflip and hit just the last 4 meters of the bunting line or rooftop. - Refer to the Wing Suit upgrade section above for more info. Note that most Wing Suit related goals can be achieved either by flying up high or through a straight slope going down. - To do multiple loops in a row, turn off your Wing Suit right after the first loop then let your player fall a little, turn it back on again and do another loop, repeat as needed, do not make any backflips if you want to do this in a row though. - A backflip where your head rotates close to the ground. Refer to the Notable Goals section below for the explanation. - It has something to do with Wing Suit twirling around, forgot how it works exactly~ XD. - Most Goals can be completed by playing for as long as you can. Check and push your back flips if the space is wide enough, otherwise, stop to recover your balance. - Sometimes it is better to play it safe to reach the milestones needed to complete a goal. - Collect needed items or power-ups as you go, focus on completing your Goals. - You can skip a difficult Goal by spending Coins. This option appears if you fail to complete your target goal after a run. - If you were very close on completing a difficult Goal, you can revive your player and continue by paying Coins, or watching a video ad (needs to be online). - Note: You can only revive once per run. - This might take a while but still doable, just spend more time on the ground while avoiding those sneaky rocks. 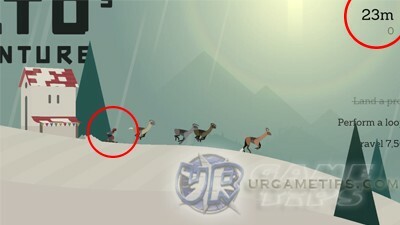 - You can also find some llamas inside fences when sliding through villages, break and gather them. 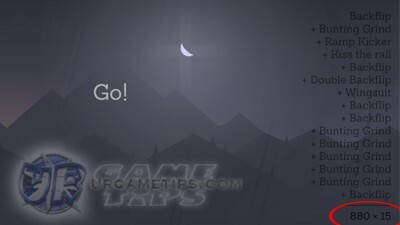 - Llama Horn: If you have enough Coins, purchase the Llama Horn from the Workshop (optional). A blast from this mighty horn will cause a llama stampede! Land 2 Triple Backflips in One Run. 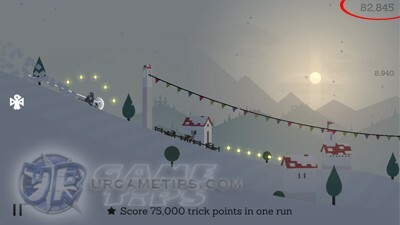 - Run long enough and combine tricks while on air to get a nice speed boost upon landing. This will help you jump even higher into wide areas where you can land triple backflips. - Watch a video to revive player and continue, if needed. - Looks like Paz can do this more often since his jumps are lower. When you see an upcoming rock, just tap to jump and land on it, hopefully there is a bunting line or rooftop where you can land after that. - One way is to hit the Wingsuit icon right before you gather those Coins up on the air. - Another is to get a Coin Magnet powerup, then activate the Wing Suit when near Coins. - Note: You can keep a Wing Suit charged as long that you do endless tricks while surfing. - This one is tricky because you need to do a backflip where your head rotates close to the ground. - There are some few tricks you can do to achieve this, and always try and to pick up some speed, it does help. - Tip#1: You can actually do it from the start, refer to the screenshot below. - Start your backflip exactly where my player is located (yes, right after/beside that tree). If you land well, you'll get the proximity backflip bonus. - Tip#2: The safest way to do this is by using a Hover Board, then keep doing backflips on "semi-flat" grounds whenever possible. Find and also try doing it on some small hill/s, ice patches, or any low slope terrain (not too steep though). - Tip#3: It is also possible to do it while your player is on an ice patch to give you a nice boost forward (but risky). The ice patch must be straight though, not going downwards. - Note: If you need to do this multiple times in one run, you still can do up to 3 or 4 consecutive Proximity Backflips from the start, just remember where to start your jumps like the example above. - Just keep doing backflips and hopefully you'll land into a rock, yeah it is luck based but the chances are good if you are using Maya or similar player with high flip turns. - Definitely a hard one to pull, but here's the idea on how to accomplish it. - The requirement is to fly low or hover near the ground while your Wing Suit is on. How low? enough to create a "snow dust cloud" on the ground, or a little higher. - Activate Wing Suit, go low, preferably on a long straight line or through a mountain side. Hover and control your player with smooth taps. This may take some practice, but keep going. - Upgrade the Wing Suit Timer from the workshop if you need more time. - Using hover boards will disrupt it, so don't get one if you are wondering. - Do this from the start with Maya. - Start with a Proximity Backflip, then do another 2 backflips every time you reach a flat ground. *Refer to the Tricks section above for more info that you might need. Increase level by completing Goals, more players will be unlocked upon reaching their required levels. Feel free to use any players to complete Goals, especially those that are associated with them. - A young shepherd boy with a love for llamas and a taste for adventure. A great all-around snowboarder. - An explorer at heart and light on her feet. She can flip much faster than others but has trouble building speed. - Nice for completing backflip related Goals, much smoother, easier to chain tricks and trigger Wing Suit. Just keep doing tricks to maintain a nice speed. - Probably your core snowboarder until Lvl 51. - Has a big heart and even bigger muscles. Paz is slow to start, but once momentum is on his side nothing can stand in his way! - Speed Boosts are longer and faster, nice for completing ground related goals like smashing rocks. - A full blown adrenaline junkie and master inventor. She's always building exciting new gadgets for the gang to use in her workshop, but she has a few prototypes that aren't for sale! 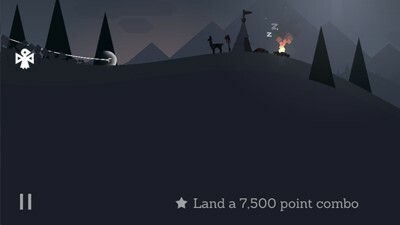 - Looks like an upgraded version of Alto, with cool Speed Bursts upon landing. - An unusually brave little llama. He's taken to wearing one of Alto's scarves and riding his snowboard when he thinks no one is looking. Tap twice to double jump! - An elder who lives alone in the wilderness. Some say he can harness the power of the mountain and all those who have traveled upon it. - Maya's replacement at Lvl 51.